Dome Beers: Raw: Who Acquired Who? "Take me to the week end"
So I don't know how a calender works, apparently. The list is useless because of it. I have Feaster not drafting 2013, when he actually did. 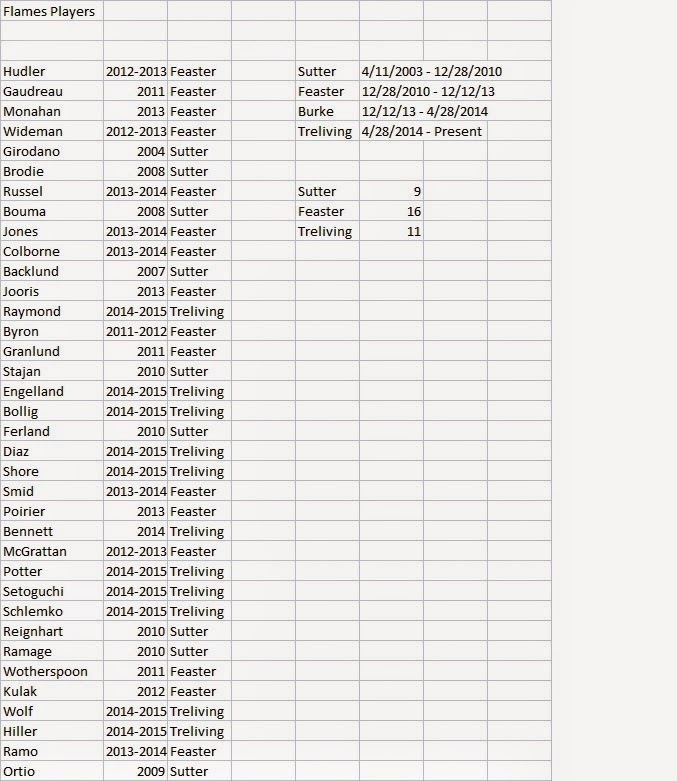 And Sutter drafted 2010, which I gave to Feaster. Monahan/Poirier are Feasters. Russell and Jones Feasters' too? Colborne Smid Feasters/Burke. Jooris Feaster. Reinhart & Ramage are Sutter's. Ferland Sutter's. I may redo when I have a spare half an hour.